COMPETITIVE midfielder Alex Macdonald arrived at Ibrox when Rangers manager Davie White paid St Johnstone £50,000 for his services in November 1968. Although he struggled to establish himself at first he went on to become a firm favourite with the fans as he consistently demonstrated his passion for the Rangers cause. He also had the knack of scoring goals at crucial times. On the way to the Cup Winners’ Cup success of 1972 he struck the solitary goal in the first round home tie win over Rennes and six months later did the same in the quarter final with Torino. Furthermore, when Rangers met Celtic in the 1975 League Cup final, ‘Doddie’ fulfilled a boyhood dream by scoring the winner with a dramatic diving header. 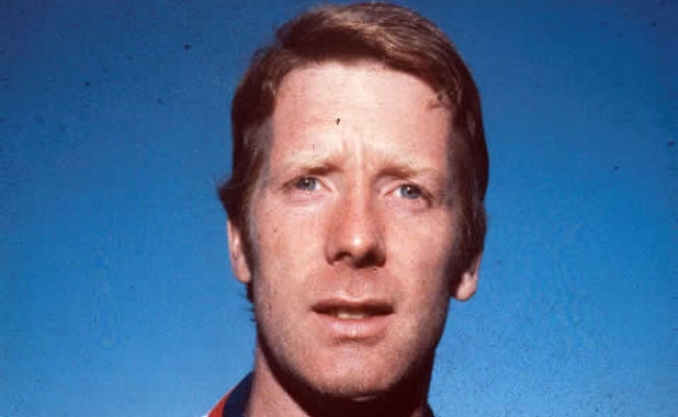 In a Rangers career spanning 12 years he made over 500 appearances finding the net 94 times and was a vital part of Jock Wallace’s treble winning sides of 1976 and 1978. His overall tally of 3 League Championship medals, 4 Scottish Cup medals, 4 League Cup medals and that European Cup Winners’ Cup glory is a fitting reward for such a dedicated professional. MacDonald moved to Hearts in 1980 and eventually became manager of the Edinburgh side. His success in that position was reflected by securing the Manager of the Year award in 1986.